We’ve been aching to see large orders of electric buses in the US and Europe (not just China) for ages. While an order of 20 electric buses still not be at “China level,” that’s a pretty huge order in the US, especially for a university bus fleet. Apparently, the University of Georgia intends to be a national leader in clean, zero-emission, smooth, quiet electric buses. It is buying them from nearby Proterra, which has a home base up in South Carolina. Based on a Proterra analysis, the University of Georgia “will displace more than 2,500,000 gallons of diesel over the vehicles’ 12-year lifespan and eliminate over 4,500,000 pounds of carbon emissions annually.” Approximately 40,000 people ride University of Georgia every day. Ridership is free. When you look at the combined effects of the high passenger occupancy of buses and the clean electric powertrains, these buses look even much better. Twenty buses may sound small when compared to tens of thousands of electric car sales a month in the US, but what if those 40,000 people were all driving themselves, or if there were even two people to a car (higher than the national average)? Twenty electric buses go a long way to cut vehicle emissions and clean up our air. Even if you just compare bus to bus, diesel buses to electric buses, the former have a fuel economy of ~6 MPG, whereas Proterra’s Catalyst E2 buses have a comparable metric of 24 MPGe. But that excludes the fact that diesel buses emit numerous deadly or at least harmful pollutants, and electric buses don’t. Proterra has long been a leader in electric bus transport. Chinese companies have much higher global sales of electric buses, and BYD sells a good number of them in North America as well, but Proterra has been keen to put a premium on top-tier tech with its products. The company’s CEO, Ryan Popple, was Senior Director of Finance at Tesla Motors once upon a time, and I think he was impressed with the quality of tech and vertical integration at Tesla and wanted to create something similar for the bus sector. 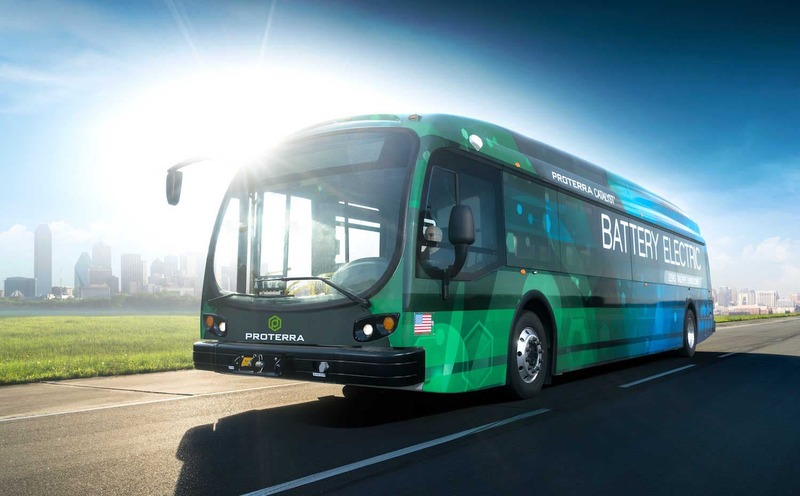 It’s still a bloody battle in the young electric bus market, but Proterra wins its share of deals — and this is a big one. Along with those benefits, the low operating and maintenance costs can be a win for buyers. The total cost of ownership of an electric bus on the market today should generally outcompete the total cost of ownership of any fossil-powered buses. It’s genuinely not a hard purchase decision to make when you’re keeping the air clean, protecting the climate, and saving money. Aside from the University of Georgia, Proterra has sold its Catalyst electric buses to a handful of other US universities: StarMetro/Florida State University, the University of Montana, Duke University, and Alabama A&M University. Kudos to the University of Georgia and Proterra for their leadership on this new deal.